So when I moved to Spain, I had a lot of questions. Why do Spanish people laugh when I call a computer a computadora? Or look at me funny when I refer to them as ustedes? But the biggest question I had when I moved to Spain was: What’s up with the lisping s sound in words like hacer (to do) and gracias (thank you)? The Spanish lisp—called the ceceo in certain contexts (see below), is one of the most distinctive features of Spain’s dialect of Spanish. If you’re a U.S.-based Spanish speaker like I am, you might have a lot of questions about the Spanish lisp. Read on for some answers! Why Should I Bother Learning the Spanish Lisp? I didn’t bother lisping in my first few months in Spain. Then, one day, I was having a conversation with a friend and she told me about her family from the small village of Siruela. She looked at me in confusion for a few seconds, then burst out laughing. “No, that’s ciruela,” she said, pronouncing the word for “plum” with a discernible Spanish lisp on the letter c.
That’s when I realized: Learning the Spanish lisp could help me avoid lots of confusion when talking to Spanish-speakers. There are many word pairs that become more easily distinguishable when you use the Spanish lisp. For example, the words casar (to marry) and cazar (to hunt) have practically the same pronunciation unless you’re using the lisp. Learning the Spanish lisp has other benefits, too. It’ll help broaden your comprehension when listening to Spanish speakers talk, or when consuming Spanish media. Plus, learning regional variations of Spanish is fun! If you’re living in Spain, speaking the way those around you speak is part of the immersion process. What Are Ceceo and Seseo, Anyway? As you may already know, the Spanish language has many different dialects with various differences in grammar, vocabulary and pronunciation. The Spanish lisp can potentially affect the pronunciation of three different letters: s, z and c (when it’s followed by an e or an i). When talking about the Spanish lisp, it’s important to understand the words ceceo, seseo and distinción. 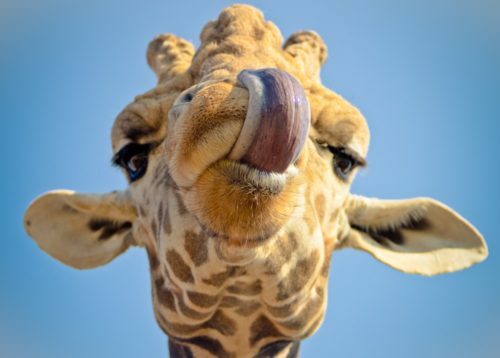 These three linguistics terms describe how you should pronounce s, z and c.
If you pronounce s, z and c like the th in “tooth,” that’s called ceceo. The verb form is cecear. If you pronounce all three of these letters like an English s, that’s called seseo, and the verb is sesear. If you pronounce an s like an English s, but a c or z like a th, that’s called distinción. So, the only two forms that constitute the use of the lisp are ceceo and distinción, whereas seseo requires no lisping at all. What Is the Origin of the Spanish Lisp? There’s an often-repeated myth that King Ferdinand of Spain had a lisp, and that his countrymen imitated him as a form of respect, which led to the development of the Spanish lisp. Historians and linguistics have refuted this claim, arguing that there’s no evidence King Ferdinand had a lisp. Besides, if that were the case, the predominance of distinción (instead of ceceo) in Spain would still not make sense. It’s more likely that ceceo and distinción had their roots in medieval Spanish speech patterns, which developed naturally over time to lead to some areas of ceceo, seseo and distinción throughout Spain. So, why don’t Latin Americans lisp? Well, history tells us that Seville was one of the most important cities in Early Modern Spain, and it was the peninsula’s most important trading hub with the colonies in the Americas. In fact, a large percentage of early settlers in the New World colonies came from Andalucía and the Canary Islands—both seseo areas. Thus, this linguistic form eventually took predominance in the New World. You won’t find Spanish speakers lisping in any of the countries of Latin America or the Caribbean. This is also why most Spanish learners in North America don’t encounter the lisp in a Spanish classroom. On the other hand, most parts of Spain embrace the Spanish lisp in one form or another. Most of Spain, except for the far southern province of Andalucía, embrace distinción, which means you’ll hear the lisp on the letter z and on the letter c if it’s before the letters e or i, but not on the letter s.
In Andalucía, things get a little trickier. In many areas, particularly around Cádiz, you’ll hear people using the ceceo. Then, there are other areas—especially surrounding the cities of Seville and Córdoba—where the seseo predominates. As explained above, this means that c before e and i, z and s all take on an s sound. In this respect, these areas are similar to Latin American Spanish in their lack of lisp. TranSpanish has a handy map of Andalucía showing where each variation can be heard. In the Canary Islands and the Philippines, you’ll hear a combination of seseo, ceceo and distinción. How Do I Master the Lisp? I could just tell you to pronounce your c and z (and s, if you want to cecear) like an English th. However, it’s a bit more complicated than that. English has two th sounds, and it’s important to use the right one. The Spanish Dude has a helpful video with Spanish lisp pronunciation tips. Watch authentic videos is a fantastic way to understand how the lisp is used by real Spanish-speakers. And the best part is, you don’t have to travel to Spain to get an immersive experience and hear the Spanish lisp in action. Just use FluentU! 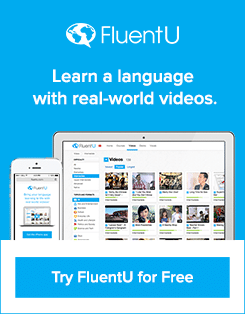 FluentU takes real-world videos from all over the world—like music videos, movie trailers, news and inspiring talks—and turns them into personalized language learning lessons. It’s an entertaining way to immerse yourself in Spanish the way native speakers really use it, while actively building your vocabulary and grammar skills. How Can I Practice Lisping? 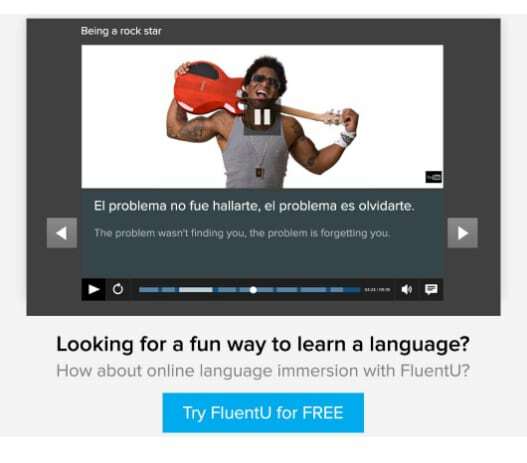 First, if you aren’t already singing in Spanish to improve your pronunciation, now is the time to start. Find a Spanish singer (from Spain, that is) and sing along to one of their songs, paying particular attention to their pronunciation of c and z. One good place to start is the song “Deshazte de mi” (“Get Rid of Me”) by the Madrid-born singer Malú. In the first verse alone, you can practice the words necesitas (you need), vacía (empty), principio (beginning), hice (I made), cerraba (closed) and hacía (I made), all of which include a lisp. Some other good Spanish songs with ample lisping include “Cero” (“Zero”) by Dani Martin and “Quisiera” (“I Wanted”) by Frank Diago. Both of these are quite slow, making them good beginner choices. For something slightly faster, check out Enrique Iglesias’s “Duele el corazon” (“The Heart Hurts”). For expert mode, listen to some Spanish music by Latin American singers and try to lisp on the correct words even when the singers don’t! Another good way to practice the lisp is to make a list of words that showcase c, z and s sounds, and turn them into flashcards. For example, you could use word pairs like ciento (one hundred) and siento (I sit) or cazar (to hunt) and casar (to marry), or single words that have both sounds such as cesar (to cease) or superficie (surface). Once you have a long enough list of such words, put them all on flashcards. Flip the cards and say the words as fast as you can, trying to differentiate between your s sounds and th sounds. If you accidentally use the wrong sound for one of the words, start the deck over until you can get through it all. One of the best ways to practice is to watch Spanish television, immerse yourself in authentic clips and listen to authentic Spanish audio. If you hear enough native speakers lisping, it’ll eventually sound natural and will become easier to incorporate into your own speech. Hopefully, after reading this article you won’t be quite so baffled by the Spanish lisp as I was when I first moved to Spain. With a little practice, you’ll be replacing your c and z sound with a th sound like a natural!